Adore Wedding Design is here to make the wedding planning process relaxing and enjoyable for you and your soon-to-be spouse. Allow our experts to take care of your wishes to turn your wedding day dream into a wonderful reality. We offer a variety of different packages to suit your needs. Whether you need help after the very moment he gets down on one knee (or she!) or if you need help with finishing touches for the "day of", we're here to take the stress off your shoulders so the only thing you will have to worry about is when to say "I do"! 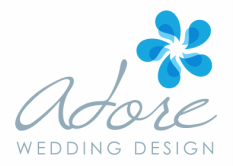 Adore Wedding Design creates beautiful weddings for brides and grooms of all forms. When it comes to your dream day, there are no rules. We proudly support the visions of both traditional Bride and Groom and LGBT couples. Adore Wedding Design. adoreweddingdesignsd@gmail.com. Phone- (760) 525-4320.